How many of you search for happiness and peace and yet you are very still unhappy and unfulfilled? Do you always want more and more and yet you feel less and less fulfilled? 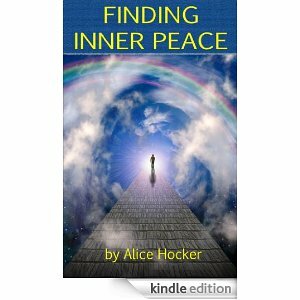 If you are one of these individuals, Alice Hocker’s book Finding Inner Peace: The Key to Happiness is for you. It seems that from the time we are born, we are seeking and searching for love, acceptance, and a sense of belonging, a feeling of security, to be respected, to feel values, to respect yourself, and to be recognized. Yet, so many of us don’t get all of these things, regardless of how hard we try. We feel frustrated and exhausted, and our quality and meaning of life suffers. One of the main reasons why we’re so unhappy is because our life is led by our self-centered ego. When we live this way, even our happiness is short-lived. We may get all the things we want, yet we still feel empty. And the more we seek, the more frustrated we become because we are looking for the wrong kinds of things to satisfy us. We must let go of trying to control everything in our lives and just let everything and everyone be. This can be so freeing and gratifying. It can also take you off the pedestal of the extreme lows and highs of life and help you to live a more abundant life that is directly connected to your inner being. To achieve this, we have to turn inward for our contentment and happiness and not outside. We have to alter how we perceive ourselves. We need to stay in balance with who we are and our real source. We should also live from a place of gratitude instead of always expecting more and more. When we change our attitude from wanting to gratitude, we will be much happier and much more content. This gratitude will help us to exude more love towards others. And when we give love to others, we will also receive it abundantly. I loved this book from beginning to end. The reader will be transported into a new orbit of gratitude and self-respect after reading this book. Thank you Alice for writing such a great book! This book review was first published on Blogcritics.